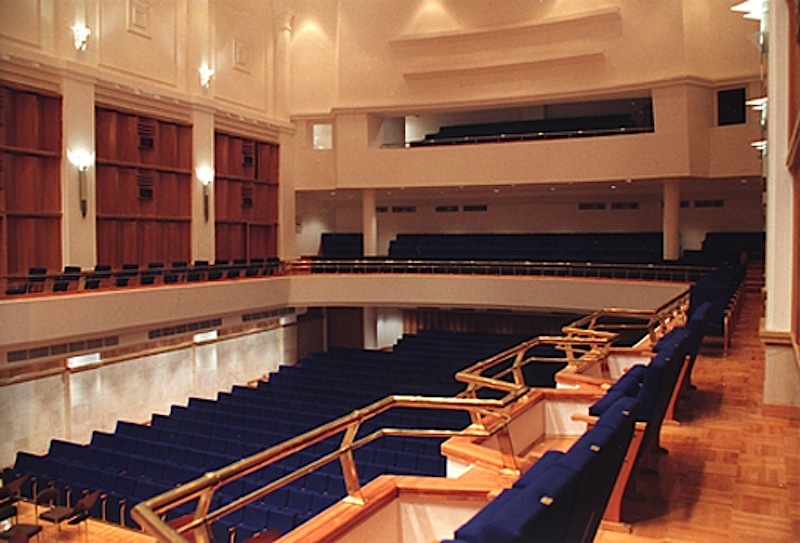 Facilities : Concert hall for 731 spectators. 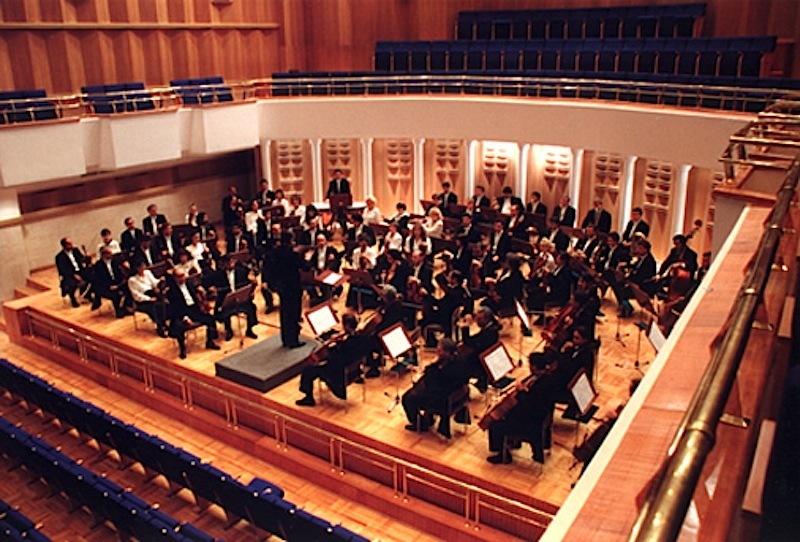 The Bilkent Music Faculty has been planned as part of a larger complex comprising a concert hall, a theater building and a music faculty building. Special care has been given to the design of the concert hall. 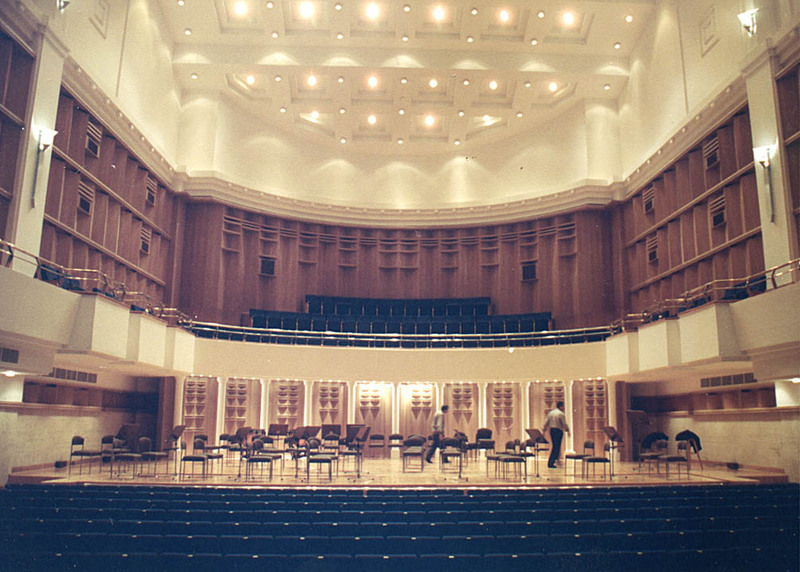 At the beginning, the concert hall within the faculty building was conceived as a smaller "rehearsal hall" for 500 which later was converted into a regular concert hall, with a capasity 0f 731, serving the city; the major concern being achieving good acoustics, while also creating a visually rich and satisfying space. As a result of extensive research and detailing, a reverberation time between 1.8-2.0 has been achieved. 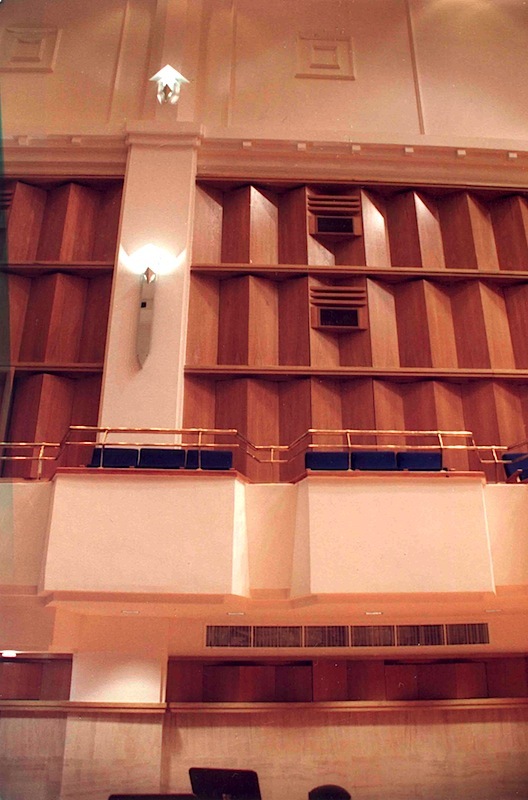 Subtle variations from chamber music to chorall pieces can be made by adjusting the folding wooden panels on the walls.